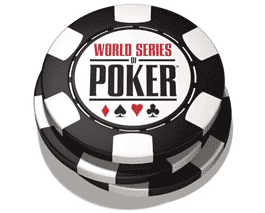 The flagship tournament of the World Series of Poker (WSOP) 2015 began on Sunday, July 5. As usual, this event features the most famous poker variant which the no-limit Texas Hold'em. Thousands of players from all over the world, including celebrities, professionals and amateurs will therefore try to seize the prestigious trophy. Note that the start of the poker tournament marks the end of this great festival which began on May 27 in Rio All-Suite Hotel & Casino. The organizers had changed the deal a bit as instead of guaranteeing $ 10 million reward to the great champion; they decided to give prize to the players who are in the top 1,000. However, if the event brings together a field of about 7,000 participants like last year, the winner will still win a huge jackpot. Qualified for the final table with 9 will be known on July 15. This weekend, some of the 68 events on the program for the WSOP 2015 were also achieved. One can cite among others the Super High Roller Bowl at $ 500,000 of buy-in. This tournament crowned Brian Rast as champion. The latter won ahead of 42 players, a victory that earned him a fortune of $ 7,525,000. Brian Rast has faced notable of poker just like Erik Seidel, Thomas Marchese, Connor Drinan at this tournament. His opponent in the final heads'up was Scott Seiver. The latter was awarded the second prize of $ 5,160,000.